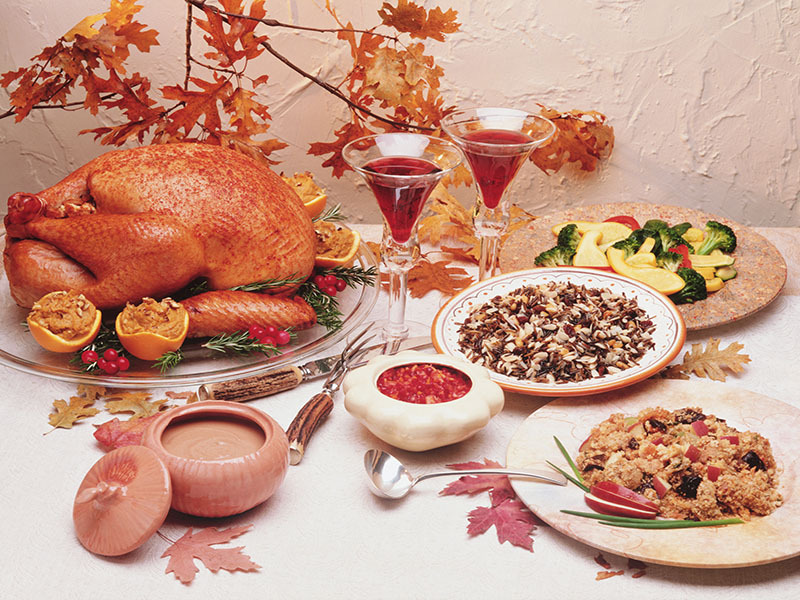 TUESDAY, Nov. 22, 2016 (HealthDay News) -- The traditional turkey centerpiece on Thanksgiving tables may come out looking scrumptious, but cooks in the kitchen need to be concerned about preparing the bird safely to prevent the spread of foodborne illness. A fresh turkey should be refrigerated until it's time to cook it. Be sure to place it in a pan that will catch any leaking juices and prevent the spread of potentially harmful bacteria, the agency advises. The USDA also recommends buying a fresh turkey no more than a day or two ahead of time. Never buy a pre-stuffed fresh turkey, the agency adds. The stuffing in these turkeys may not have been handled properly and may contain harmful germs. Turkeys can be safely frozen indefinitely but it's best if used within one year. Do not thaw a frozen turkey until it's time to cook. If buying a frozen pre-stuffed turkey, look for a USDA label or state mark of inspection on the packaging. Unlike fresh pre-stuffed turkeys, frozen ones have been prepared under controlled conditions and are safe. There are three ways to safely thaw a turkey. One option is to let it thaw in the refrigerator. Keep in mind it takes about 24 hours to thaw a four-to-five pound turkey in the refrigerator. It takes up to three days to thaw a four-to-12 pound turkey, three to five days to thaw a 12-to-20 pound turkey and up to six days to thaw up to 24 pounds of turkey. Thawing turkeys should be kept in their original wrapper and placed on a pan or tray to catch leaking juices. A thawed turkey should be used within two days. However, if it's been properly thawed in the refrigerator, it can be refrozen, the USDA says. A frozen turkey can also be thawed in cold tap water, which takes about 30 minutes per pound on average. Before submerging the turkey, make sure it's wrapped securely to ensure the water doesn't leak through. As the turkey thaws, it's important to change the water every 30 minutes. Do not refreeze a turkey that thawed in water, and you should cook it immediately. Turkeys can also be thawed in the microwave. It's important to check the owner's manual to make sure the turkey can fit inside. The manual will also provide guidelines on the power level to use and how long thawing will take. All wrapping should be removed and the turkey should be placed on a microwave-safe dish. Do not refreeze a turkey that was thawed in a microwave, and cook it right away. After thawing a turkey, be sure to remove the giblets from its cavities and cook them separately, the USDA notes. Always wash hands, utensils, the sink, and anything that touches raw turkey or its juices with soap and water. When it's time to roast a turkey, set the oven temperature to at least 325 degrees Fahrenheit. Place the turkey on a rack in a shallow roasting pan. Tuck its wing tips under its shoulders and add a half-cup of water to the bottom of the pan. If the roasting pan does not have a lid, a tent of heavy-duty aluminum foil can be placed over the turkey for the first 60 to 90 minutes of cooking. This increases heat circulation and keeps the turkey moist. It also minimizes oven splatter and reduces browning. If using an oven-cooking bag, be sure to follow the manufacturer's cooking instructions, the USDA advises. The safest way to cook stuffing is separately in a casserole dish. If the stuffing is cooked inside the turkey, mix the wet and dry ingredients at the last minute. Fill the cavities loosely and cook the turkey right away. Use a food thermometer to make sure the turkey and the center of the stuffing reaches an internal temperature of at least 165 degrees Fahrenheit. It's best to place the food thermometer in the innermost part of the thigh and wing as well as the thickest part of the breast -- even if the turkey has a "pop-up" temperature indicator. A stuffed turkey needs to cook for a longer period of time -- about 15 to 30 minutes longer than usual. Cooking a frozen turkey also takes 50 percent longer than a thawed turkey, according to the USDA. Once it's finished cooking, take out any stuffing and let the turkey stand for 20 minutes before carving it. This allows the juices to set and makes it easier to carve.